This listing includes JUST THE COLLAR. 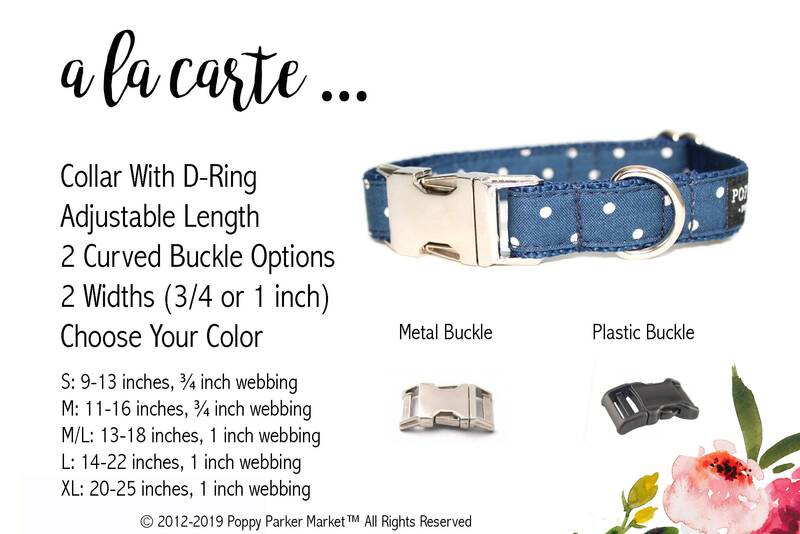 Collar includes curved buckle, “d” ring to attach to a leash, and adjustable slide. 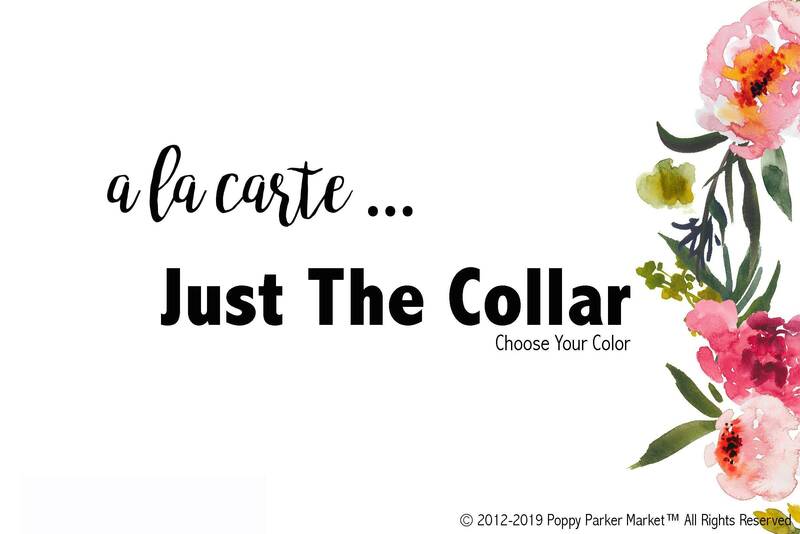 To purchase the bow tie, leash, or additional items please add a la carte items seperate or add a full set listing. If you need help or have questions just sent us a convo we are happy to help!